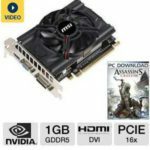 TigerDirect now has the ZOTAC ZT-50303-10M GeForce GTX 560 Ti OC Video Card w/ 1GB, GDDR5, PCI-Express 2.0 (x16), Dual DVI, Mini-HDMI, Overclocked, DirectX 11, Dual-Slot, SLI Ready for only $109.99 + free shipping after $30 rebate! You can also get another 5% cash back from Mr.Rebates, which drags it down to $104.49. 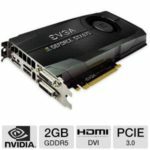 This is now the lowest price we could find for this video card, we save $40 compared to the next best available price, so I can't help saying it's a great deal. 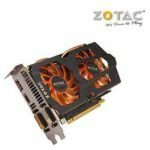 You'll enjoy incredible new visual experience with the ZOTAC ZT-50303-10M GeForce GTX 560 Ti OC Video Card. 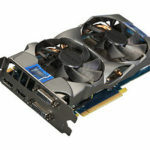 It delivers flawless graphics performance, thanks to its GeForce GTX 560 Ti GPU and 1GB GDDR5 memory. 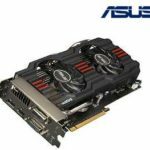 Its PCI-Express 2.0 (x16) interface lets you connect the video card to your motherboard easily. You'll enjoy clear, vibrant graphics quality. 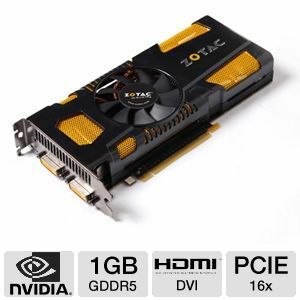 So if you want to upgrade your computer to a higher level, I think it's a good idea to start with this ZOTAC video card. What do you think?